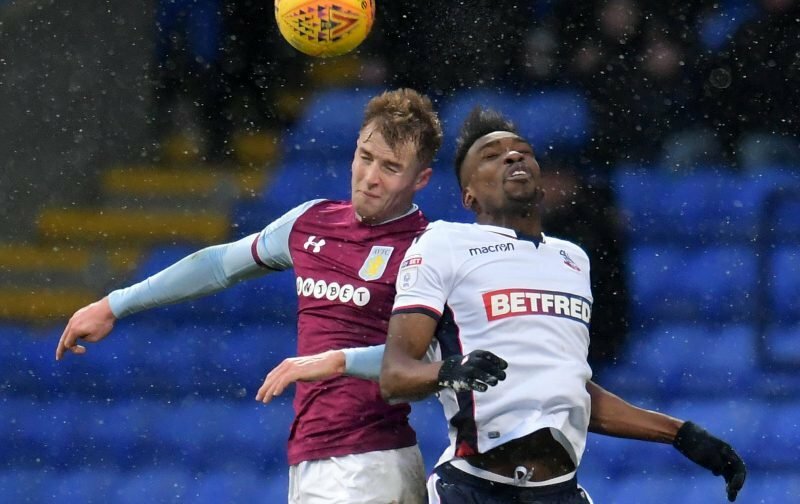 James Bree was praised by some supporters for his performance in Aston Villa 1-0 win over Swansea City. Dean Smith’s side picked up all three points at the Liberty Stadium on Boxing Day and Bree was one of many credited for his efforts. The 21-year-old has recently returned to the starting eleven after two months out of the side and is impressing in a makeshift centre-back role. Well played mate, hopefully you can stay in the 11 now. About time you were given a chance. Not put a foot wrong last 2 games. Brilliant lad! And well played you. Two very assured performances on the trot. Bree is a natural right-back, but he had struggled for playing time this season and was behind the likes of Alan Hutton and Ahmed Elmohamady in the pecking order. Smith has instead used him to solve Villa’s centre-back crisis while Axel Tuanzebe is sidelined with injury and his gamble is paying off. The defender won three aerial duels, five clearances and made 44 touches on the day. With Tuanzebe expected to be out of action until late-January next year, Bree could rack up a number of games at the heart of the defence. The 21-year-old looked on his way out of Villa this season after failing to make the squad between mid-October and mid-December, but he’s taken his chance to impress with both hands. Fans have acknowledged his efforts and Smith could retain Bree’s services in defence as a result.